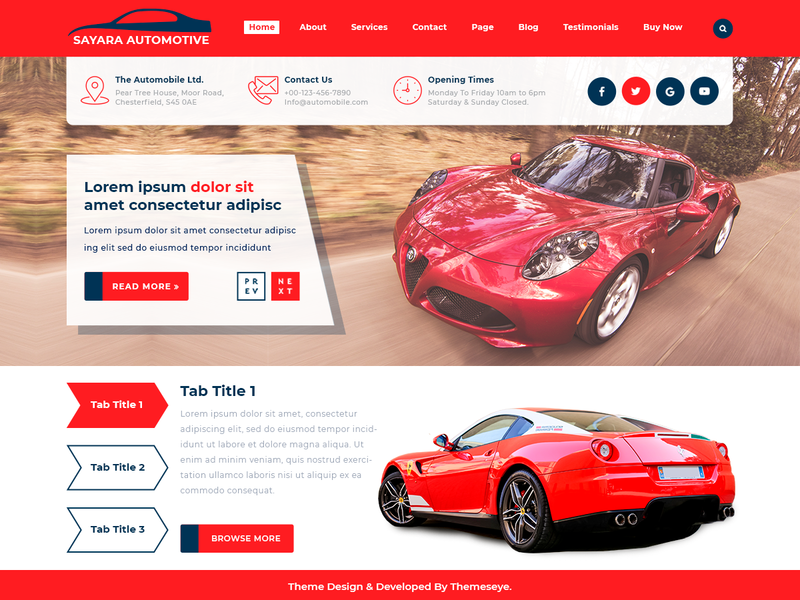 If you want to design an elegant and minimal automotive website without burning a hole in your pocket then this free automotive WordPress theme is the best option you will ever get. It is a multipurpose theme which can be used as a blog, portfolio or website. It is made for car dealer, car and bike showroom, vehicle repair shop, ATV and RV seller, helicopter and aircraft manufacturing company, car rental, second hand car seller and anyone belonging to automobile industry. It requires minimum or no coding skills to pull off a modern website that will be the face of your business. This free automotive WordPress theme is tested with many different plugins and it works so well with all of them that your website will function smoothly without any glitches. It is integrated with WooCommerce plugin so setting up an online store and maintaining it has never been this easy. With the free automotive WordPress theme, you can upload logo of your company and configure slider settings to give personalized touch to your website. Its responsive layout makes your website accessible from any device whether it is mobile, tablet, laptop or desktop of any size. It includes a range of social media icons to give the required exposure to your website. This free automotive theme is multilingual and cross-browser compatible and supports RTL writing languages. It is well documented with all functionality and processes vividly explained, SEO enabled and retina ready.